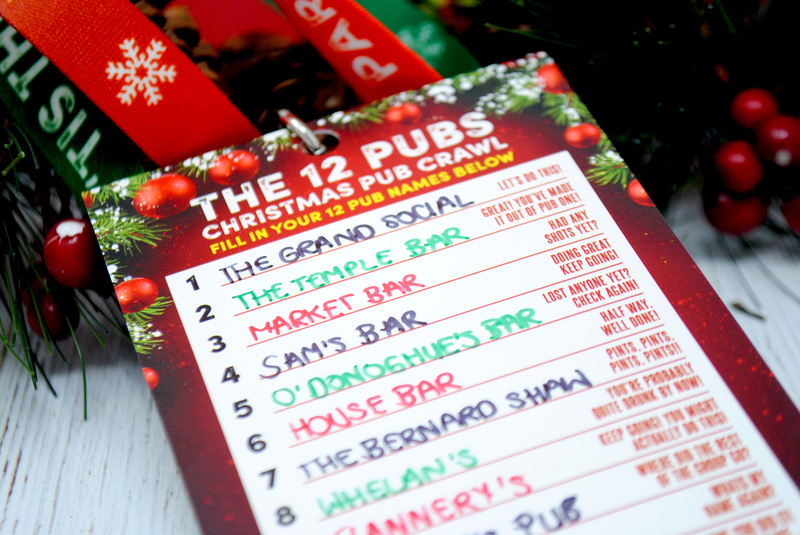 Christmas is quite literally around the corner now and the shops are coming down with Christmas goodies and every one is starting to panic about Christmas Shopping and dinners and presents and all sorts of festive craziness. 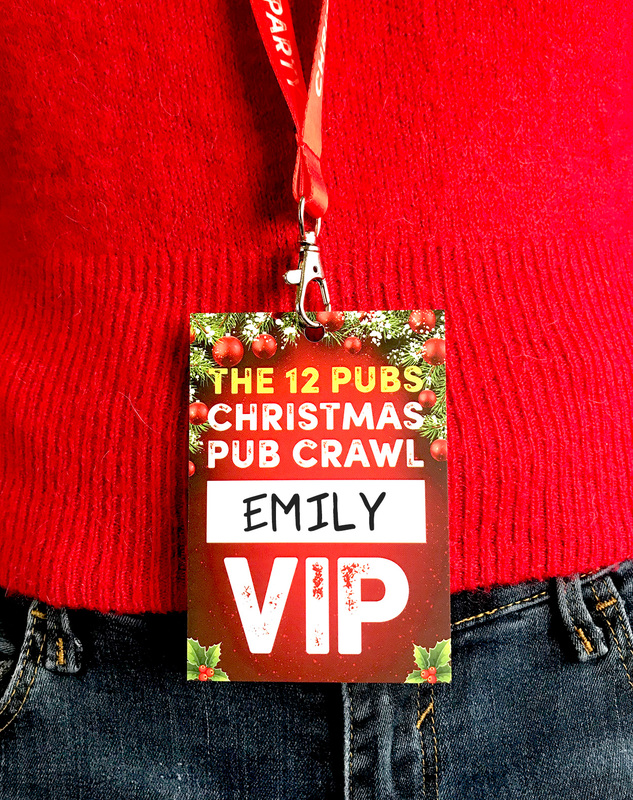 But there is also the other type of people who take all that stuff in their stride and have bigger concerns and focus points for the holiday season… and that person or those people is you! yes you the person reading this right now! 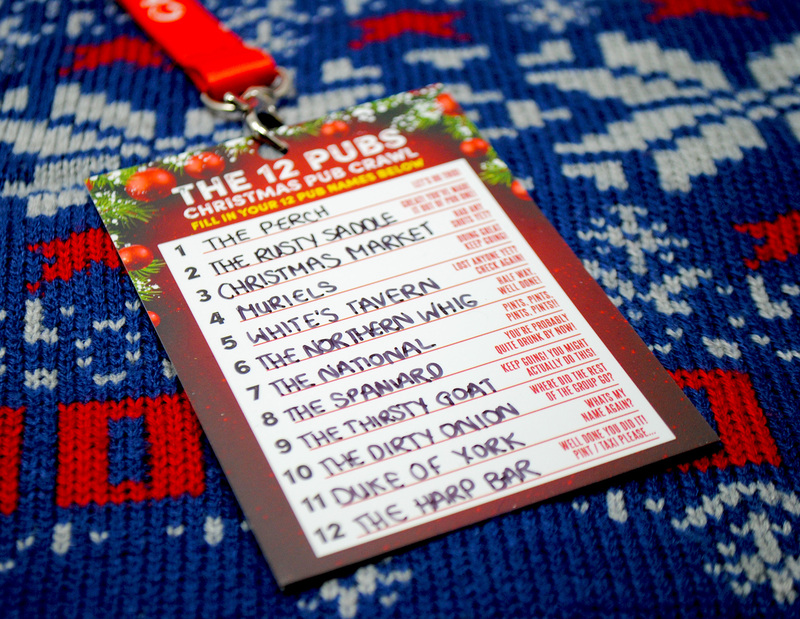 The person who knows whats most important at this time of year! Yes YOU! 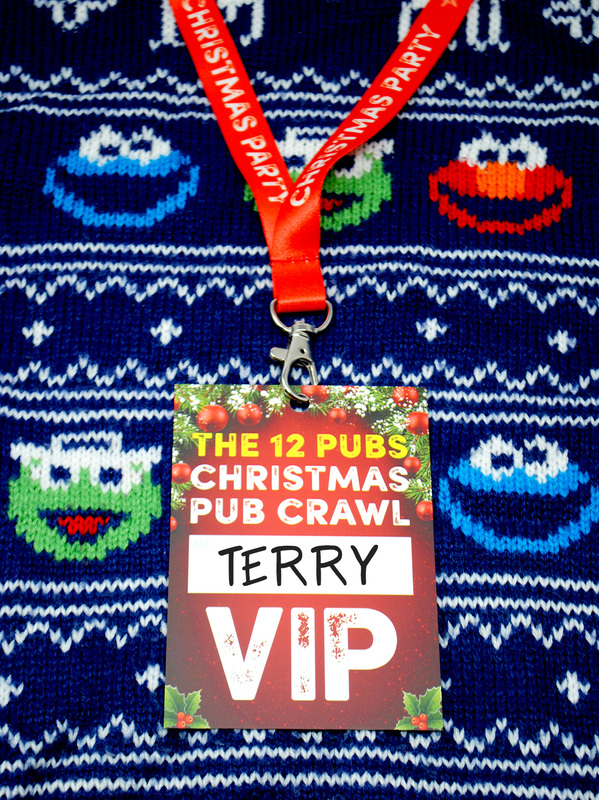 The person who organises the holiday booze up!!! 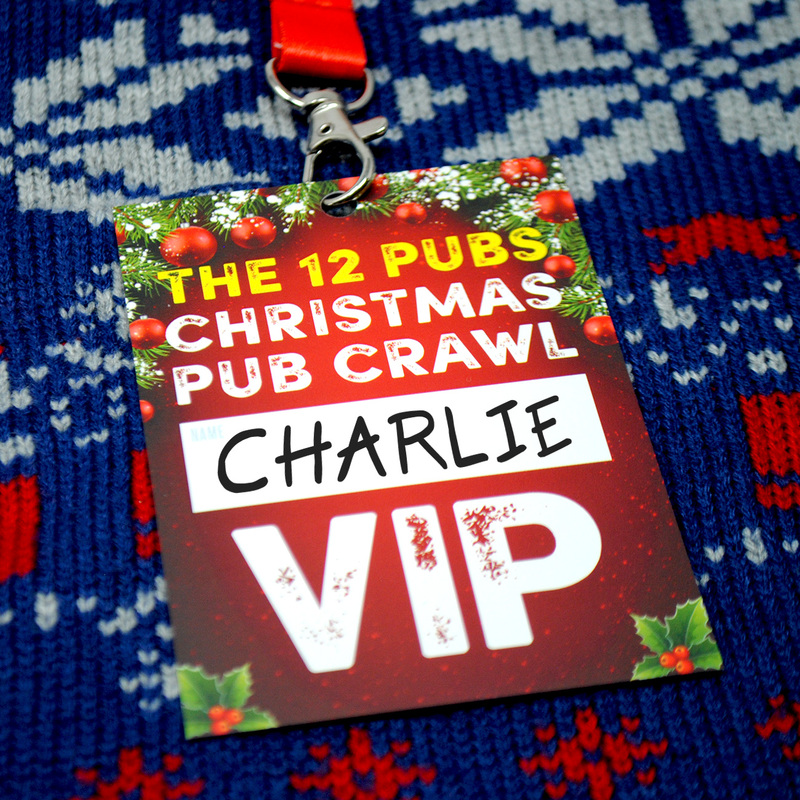 The most important part of the lead up to Christmas and over the Christmas period is hitting the pubs with your friends, family and work colleagues for a good old Christmas booze up. 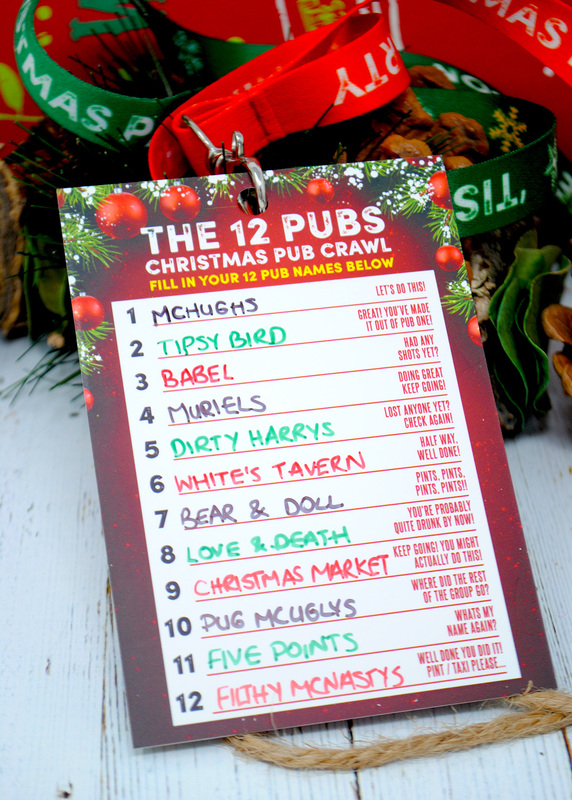 They don’t always end well, some are best forgotten, some you may not want to return to work, some might be the start or end of a romance, but either way Christmas does not officially start until you have been to the pub with all of these people in one form or another. 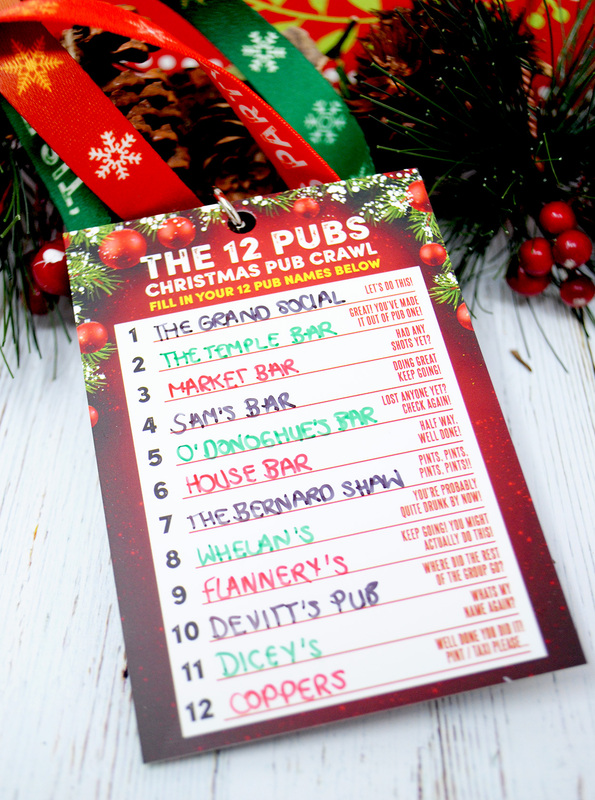 And of course the best way to get the festive season started and go boozing in style is the awesome tradition that is The 12 Pubs of Christmas! 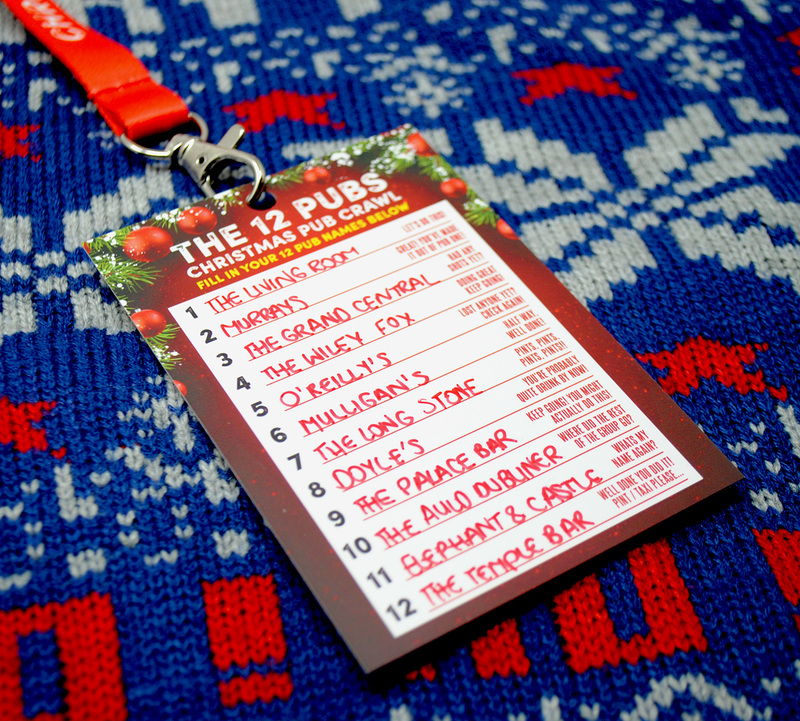 The 12 Pubs of Christmas is a fine Christmas tradition between friends, work places and families were you and your crew head out for the day / night and attempt to visit 12 pubs, sounds easy but its not that straight forward… there is challenges to be had at each destination such as drinking shots, drinking a certain drink, doing something silly, walking backwards, drinking backwards ? 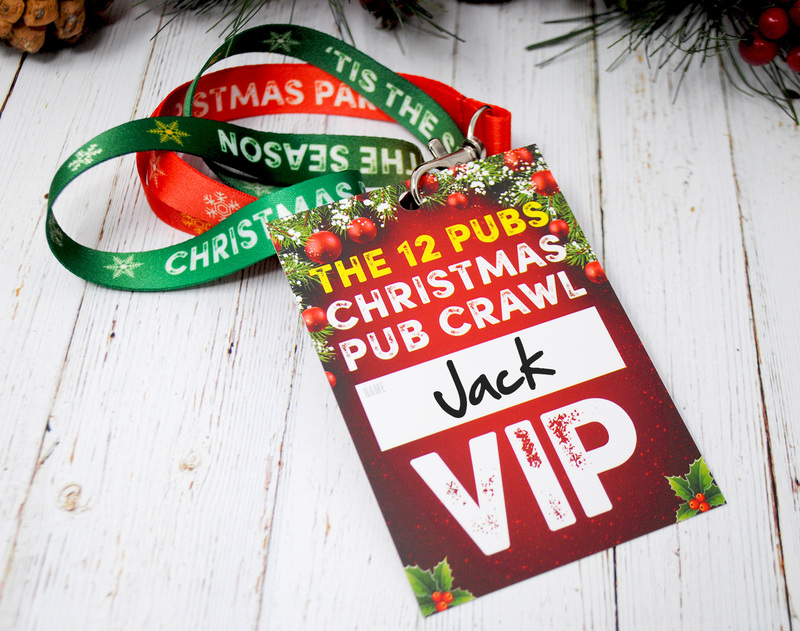 who knows what could happen, but as you visit each pub the night will no doubt get crazier and you will lose a few men and women along the way but thats all part of the fun. 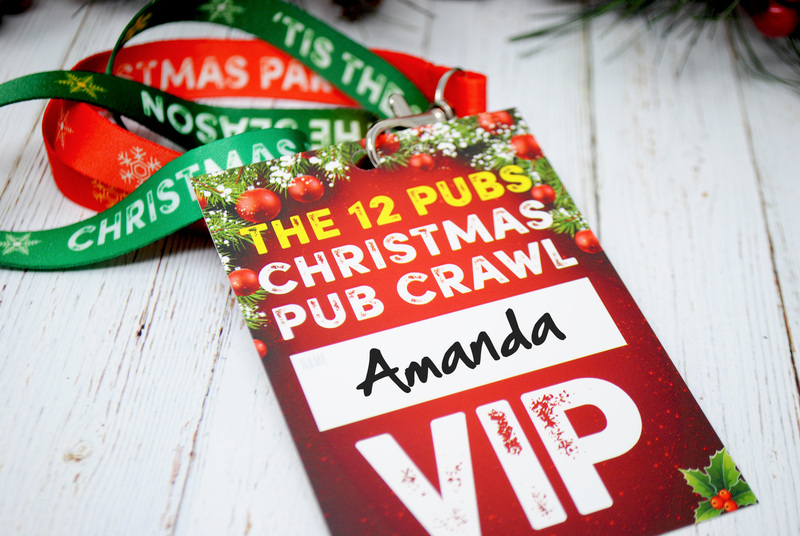 Once this night is over and the stories have been created, snap chatted, instagrammed and facebooked forever and to be shared in your memories each year following, then and only then, Christmas has started!! 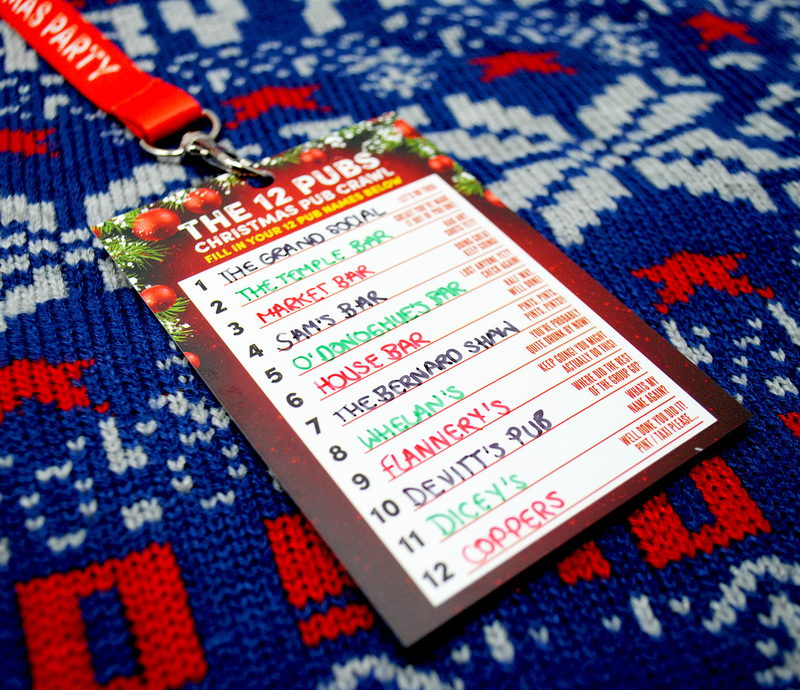 So the main thing to work out before you set of on your night of madness is to figure out what 12 pubs you are going to visit. 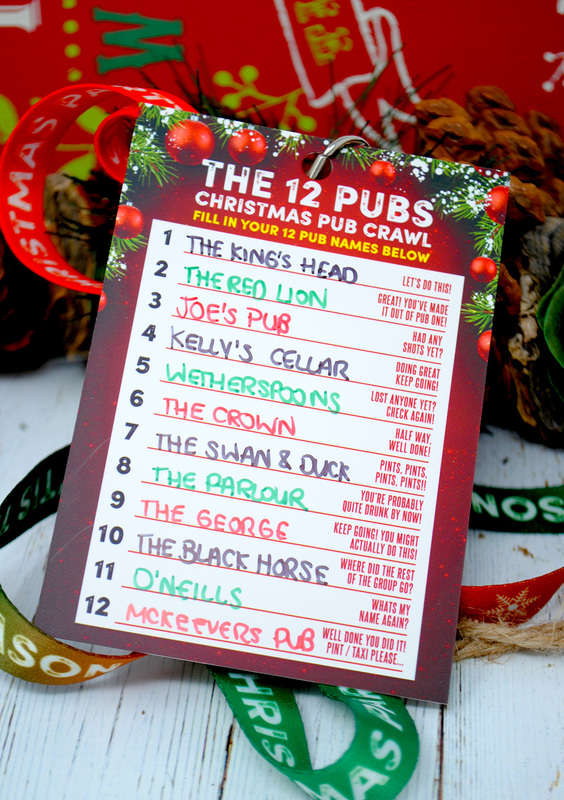 This is not something you can leave to chance, you need a plan to make this work and everyone needs to know the pub list and order and route otherwise complete chaos would take over and people in the group will end up all over the place! 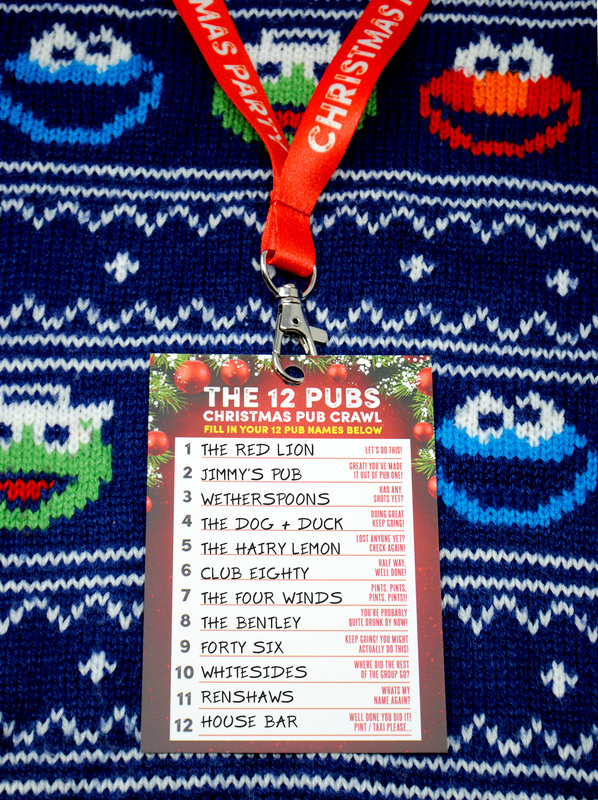 Which is why here at Wedfest we have come up with these awesome 12 Pubs of Christmas Pub Crawl List Lanyards!! 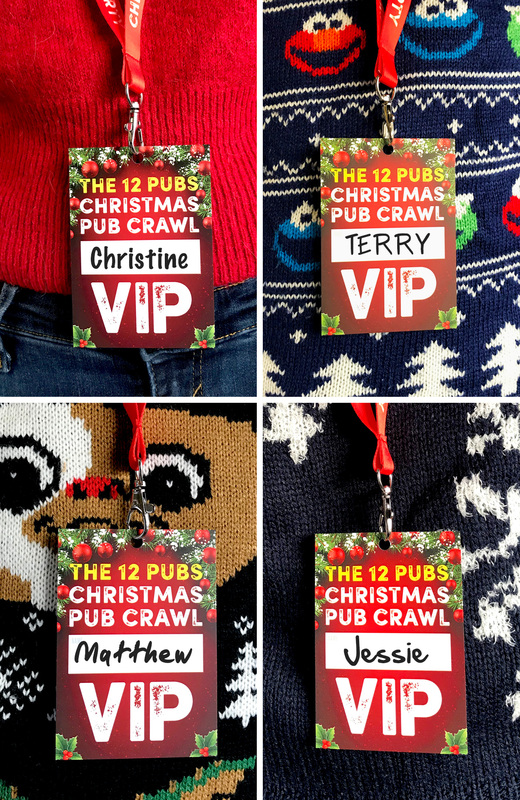 Yes we know we are amazing and how did we not think of this before, but worry not they are here now for you all to enjoy. 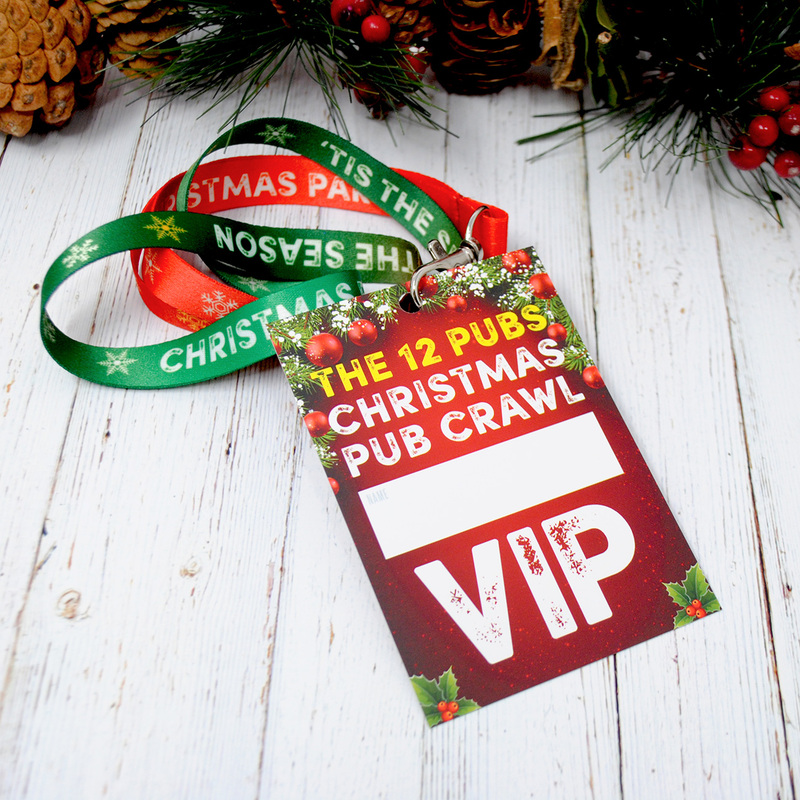 If you are looking for an awesome Christmas Party Favour or Accessory for your group look no further.. 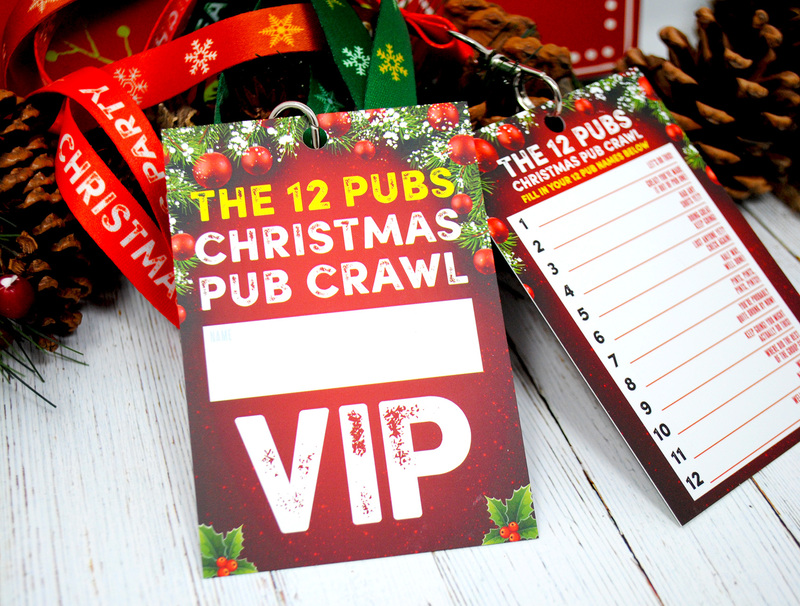 So basically these awesome pub crawl Christmas lanyards have a space on the front to write your name or your groups name and then on the back there is an area for you to write the list of the 12 pubs that will be visited. At the side of the list there is little fun notes to keep you motivated or to remind you to stay on track / find your friends :-). The cards feature a beautiful christmassy design and the neck lanyards themselves also feature a green and red strap with Christmas text throughout, so you can just hang them around your neck and hopefully you will not get lost as the night goes on. And when you do get lost the list will keep you on track. 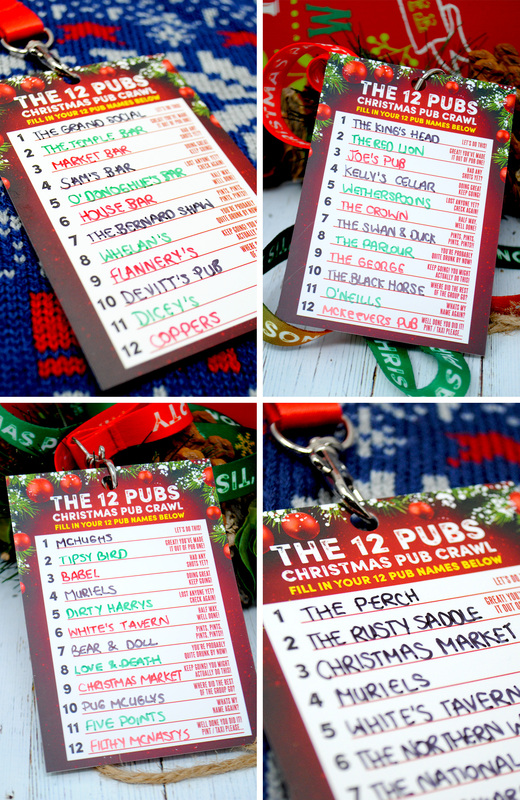 The cards all come blank so that you can fill in your own pub names and details when you get them. 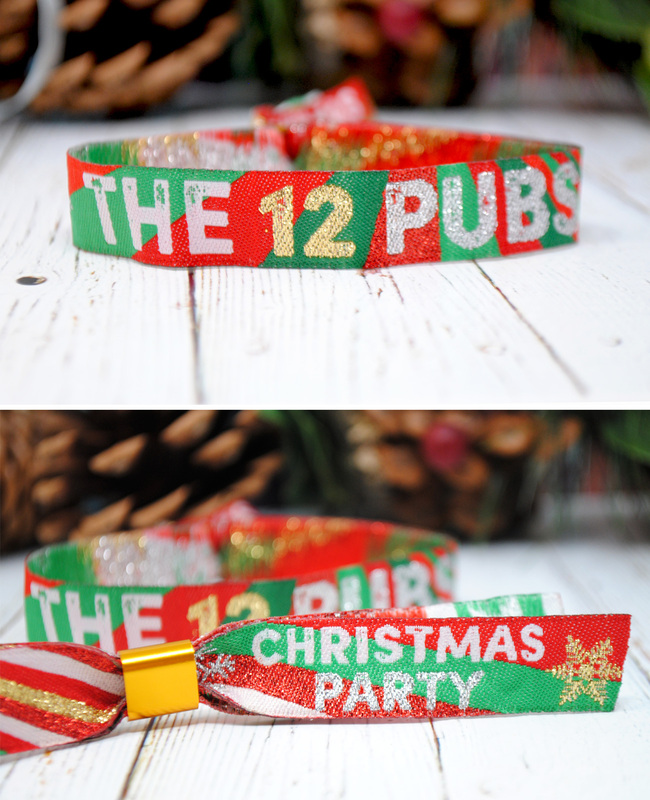 For the festival fan in you all we also have matching THE 12 PUBS wristbands which can also be worn by all the group as these are awesome looking also and fabulous christmas party favours.